On 29 March, the head of the Libyan National Army, Khalifa Haftar, made key remarks at the inauguration of a youth political platform in Benghazi. He announced that within two weeks there will be a unified government in Libya and that sovereign institutions will be unified to support the process towards elections in the country. These remarks contrast widely with the LNA’s public perception campaign of imminent military victory in Tripoli. Moreover on 27 March, LNA spokesman Ahmed al-Mismari said that the LNA would not tolerate Tripolitania militias becoming part of the new UN-backed political authority, and that the LNA would enter Tripoli when appropriate and with a considered approach. 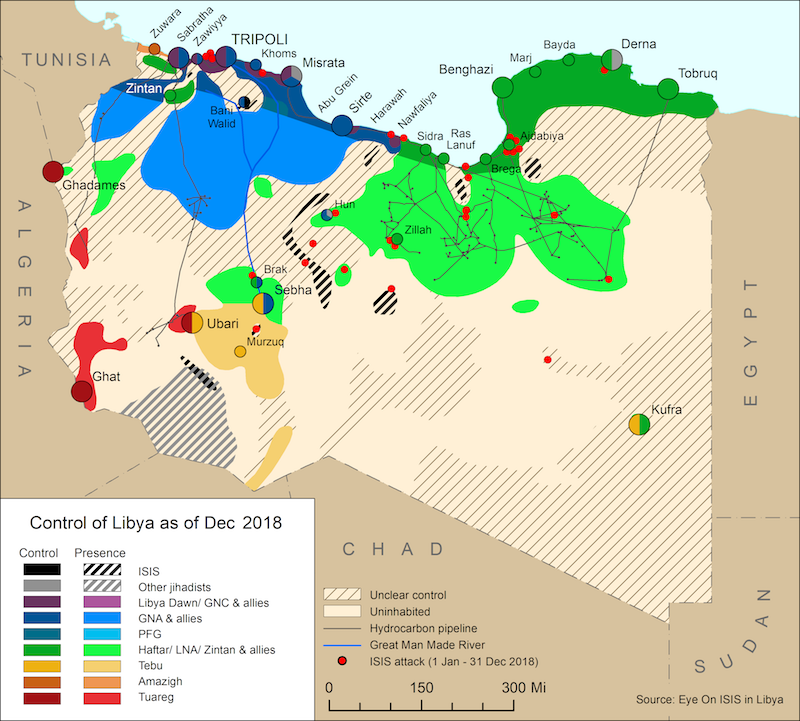 On 31 March, the Libyan National Army’s (LNA) 155 Battalion, along with the LNA-aligned Zawiyya Operations Room, declared to the LNA Central Command its readiness for mobilising. It is unclear where the LNA 155 is currently based or where it would mobilise to, but is suspected to be operating out of the Zawiyya Operations Room headquarters at the Deterrence Camp in southern Zawiyyya. The 155’s statement follows unconfirmed reports of the formation of a new LNA force, the 9th Brigade, incorporating the 7th Brigade (aka Kani Brigade) and 22nd Tarhouna Brigades. The 7th Brigade has not released a statement confirming or denying this. 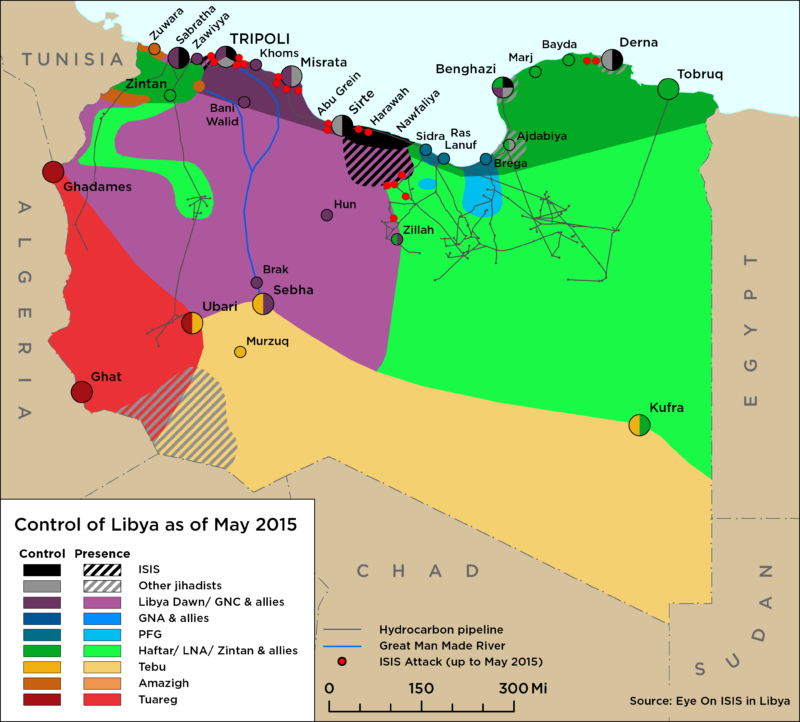 On 29 March, LNA forces were confirmed to have entered Ghariyan, a town in the Nafousa Mountains south-west of Tripoli, under the aegis of the city’s 111 Brigade, which is now operating under the umbrella of the LNA’s 106 Brigade. On the same day, the pro-LNA 107 Battalion from nearby Asaba’ah paraded its forces through the town. On 30 March, elections for nine of the 69 municipals councils in southern and western Libya took place, with voter turn-out reaching only 38 percent. The nine municipalities were Wadi Utba, Bent Baya, Zuwara, Batin al-Jabal, al-Qalaa, al-Riyayna, Nalut, al-Hawamid, and Ghadames. No incidents of violence or sabotage were reported.